This adventurous activity is catching up as one of the most sought adventure sports in Shimla. There is no doubt in that the beauty of Shimla is incomparable to any other hill station. The undulating hills and the surrounding is an ideal place for this sport. This exciting activity is a combine activity of parachute and hand gliding. It is launched on a lighter winds and also need a less space to land. 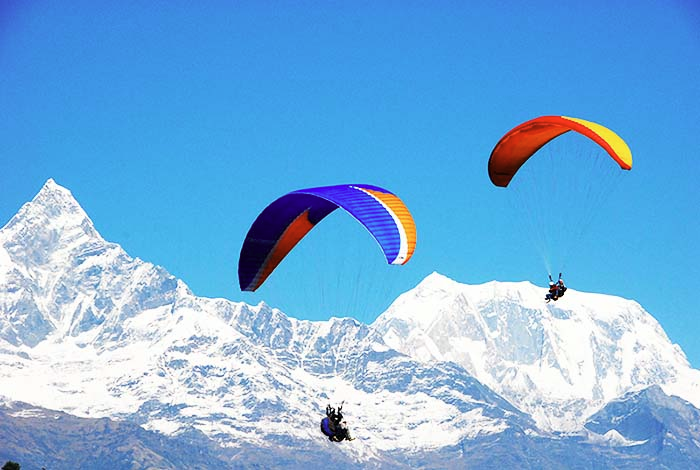 Kangra valley in Shimla is the hub of all the gliding activities. For the best treat head out to Bir and Billing in the Kangra valley which will give you the best experience of life. Soar up high in the sky and fly like a bird while enjoying the views.